Implementing an App measurement SDK can be more difficult than a standard webpage tag implementation. This instructional guide includes a guide for developers to help implement and test the EM App SDK. 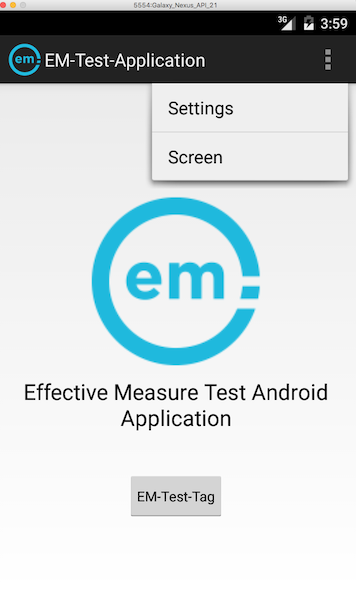 A downloadable test App can be downloaded and installed within Android Studio. The test App has helpful comments within the code and notifications that pop up to alert the user when the code has been triggered. 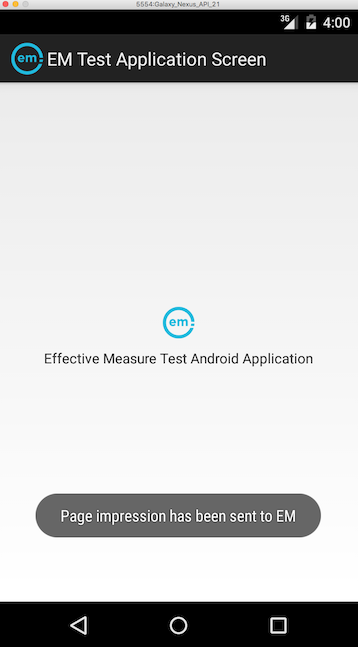 Walking through the following guide with the test App installed should make the SDK implementation a simpler task, but if you still have any questions or concerns, please contact the EM support team. 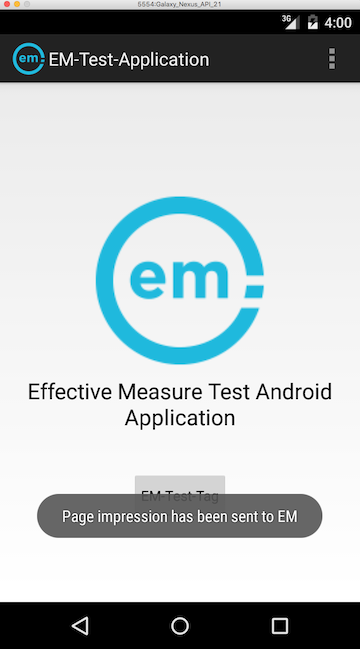 After downloading the EM Test-Application, please follow the next steps to install the App. Open Android studio and File->Open->Choose the location of testing-app folder. Sync project with gradle file and run the project. This page when loaded, will show that a page has loaded with a notification appearing on the screen. There is also a "EM Test Tag" button that will also trigger the code, to further illustrate how the code works. If you view the source of this code, you should be able to see the method that triggers both of these events. If you navigate to the application menu, there is a "Screen" menu item you can click. This will take you to another screen within the App and it will trigger the code again. This is an image of the "Screen" page, with the notification that appears once the code has been triggered. If you have followed the code examples above, you should be able to successfully implement the App SDK in Android studio. To ensure your implementation is correct, it is recommended to check that the code is being sent to the EM servers via logcat.If you test your App and see the "EmTrackerActivity" events appear, that means that the implementation is fine. Let the EM support team know that you have implemented the code and it looks good, and they will ensure that the data is appearing in the dashboard.